Chittagong, March 22, 2014 (Alochonaa): Although not completely successful, numerous steps have been made to improve the lives of women socially, politically, and economically throughout the world. All these different means of development, implemented to improve the lives of women across all levels, are necessary and interdependent. For example, when women have access to education, it will develop their status in the society, and also enable them to access education. In turn this promotes the opportunity for women to improve their financial situation and their social security to attend an educational institute. However, economic development, in addition with education should be the foremost focus in the drive to improve the status of women. Economic development is important because it empowers women to live a life of value. Access to paid income not only aids people’s assurance to meet their basic costs of living, it also has a greater impact for people to make informed and direct decisions in life. When women have the access to make money and contribute to their family, it gives them the power to make their own decisions about the issues that have an effect on their lives. 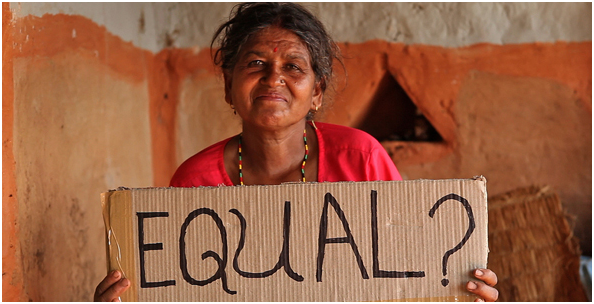 It empowers women and enables them to make decisions about marriage and household issues. For example, thousands of young women now have access to enter the job market, through paid income in garment factories in nations like Bangladesh. The majority of these young women were expected to marry by the age of 18, and spend their lives as a wife and mother. Nonetheless, an access to paid income gives most of these women the power to make crucial decisions in their lives, for example when they wish to be married, how they want to spend their lives, and not to tolerate abusive behaviour if their husbands are not respectful. In addition, if women get access to income, their next generations, particularly the girls in the family, are more likely to have a better standard of life because they are more likely to get access to education. Most of the time women do not have any say over their husband’s opinion about the household and the children’s education etc. However, women can gain the authority when they contribution to the household income. When they do so, they tend to send their children to school, in particular their daughters; thus their decisions are related to ensuring better lives for the future females of their family unit. 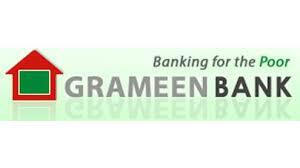 For example, thousands of families’ lives in Bangladesh have changed when women were able to access the economy through the Grameen Bank. The majority of the borrowers are concerned about the future of their children, and tend to spend the borrowed money in a way to ensure a sustainable income source for their family. Women’s access to money and their contribution to the economy provides them with a better social and financial standard of living. Education is as important as economic development too. Access to an education is a fundamental human right which applies to both women and men. There are numerous reasons for the state, and parents to invest in women’s education. It gives women more choices about their future. Educated girls get jobs, thus contributing to families, as well as contributing to the economy of the state. They have a better status in the family, and a stronger voice for making household decisions. Educated girls make careful and better decisions regarding the future of their life. They get married later, and have less and healthier children. They send their children to school, especially their daughters, and in turn this creates better opportunities for their children to do well in life. Moreover, education gives women the opportunity to know the issues and problems around them, as well as the means to solve them; thus, they participate actively in public life. They are more likely to vote and participate in the political process. 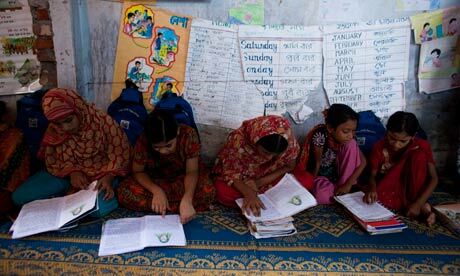 Thus, education is another compelling solution to improve women’s lives. Nevertheless, education should not only include the “academics.” It should also include the much needed aspects for both boys and girls to help facilitate social change regarding the stereotypes and societal norms surrounding women’s empowerment. For example, even if more women are going to school now, these women still face severe problems and will encounter issues like sexual harassment in the public sphere. Unless we educate both men and women about the negative aspects of these issues, women’s public lives will be harder. In order to solve all the multi-dimensional women’s issues, the approach should be multi-dimensional too, because it’s not possible to improve women’s status by focusing on only one issue. Despite of all difficulties, the role and contribution of NGOs, IGOs, the UN, individuals, and other actors is praiseworthy. However, there is a long way to go and more effective actions should be taken to improve the lives of women worldwide.